Late in 2016, NPQ reported on a crisis at a theater company in Orlando that was not paying its actors, which was actually symptomatic of a larger financial problem. We are delighted to share a report from Paste Magazine on an organization going in the opposite direction, making it a point to pay performers even though they are often ready to do it for free. The HUGE Theater in Minneapolis isn’t just creating a vibrant improv scene in that city; they’re also making a point. They want their audiences and the performers to know that improv is a professional pursuit and that it needs to involve pay, both for the ticket and for the performers. The whole idea of improv is new to Minneapolis, according to Butch Roy, HUGE’s cofounder and executive director. “We are not Chicago,” he says, “…yet.” In the few short years the theater has been open, the number of performers has grown from a handful to what Roy projects as in the thousands. They offer a limited number of shows per week, with one or two shows most days and three shows on Friday and Saturday. They also have an improv class, for which they charge $220. HUGE emerged as a nonprofit in 2009, and by 2010 had begun fundraising. They have received funding from the Minnesota State Arts Board and the McKnight Foundation. Their annual fundraiser is a marathon improv performance, which this year lasted 28 hours and raised $60,000 in one day. (Roy does not comment on how much the event cost, though, so we do not know what the actual net was.) Their 2015 IRS Form 990 shows their annual revenue at $537,000 and expenses at $450,000, so it is not a miniscule operation. 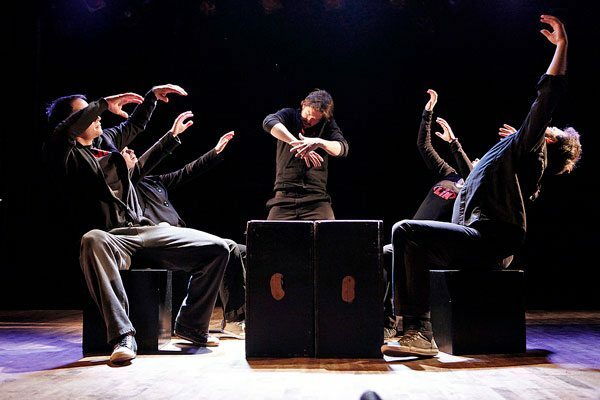 In the Paste interview, Roy argues that one of the most important aspects of what they do is make sure that everyone involved knows this is a professional organization, and that improv is a comedic art form that should be taken seriously. The ticket prices are low, running from $5 to $10, and the theater itself is small, with only 100 seats. However, at the magic moment of selling 71 tickets, the performers will be paid—$150 or $75, depending on the time slot, which presumably is divided among the performers in that show. If the performance does not meet the sales threshold, they will be offered a flat fee for a two-month run.